One of the hardest aspects of getting back into shape or into shape (whatever the case may be), is paying for it. Gym memberships, equipment, healthy food— the best stuff doesn’t come cheap. That much is evident with the Weslo brand of treadmills. Some would consider that a good thing, but I do not. That is why I can’t recommend this treadmill. We’ve all heard the saying “you get what you pay for.” That could not be more true with Weslo’s treadmills. 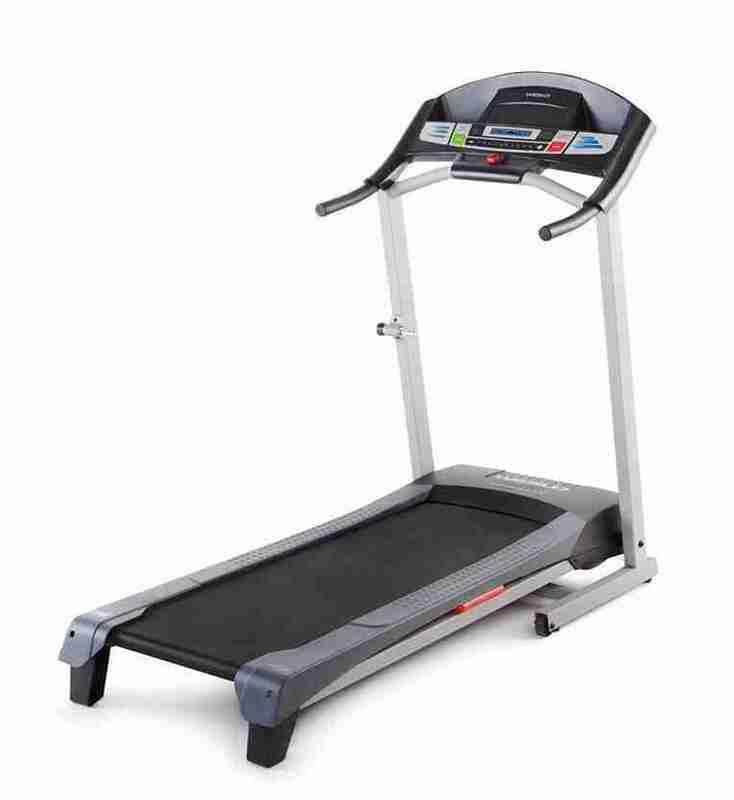 They are priced to make it easier for people to afford to own a treadmill of their own. But the problem is, they are affordable because of how they are constructed. If you are a bigger person like me, you are going to continually feel like you are about to run off a Weslo treadmill. They are narrow. Since running is not one of my favorite activities, the last thing I need is a reason to stop. When I feel like I must keep looking down because I might miss the treadmill with my next step—well, it doesn’t make for much of workout. Combine that with the noisy motor and the feeling that it is going to break with every step and it doesn’t make for a very good workout. You’ll spend more on a Freemotion Treadmill, but it will still be working in a few months. A Weslo treadmill? It may still work. But it might not. 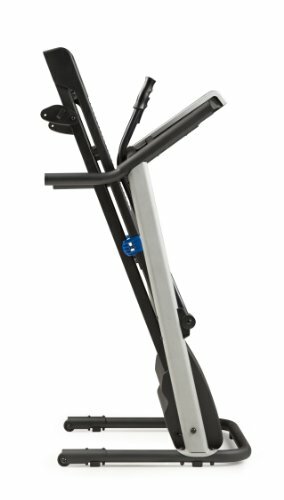 The Weslo Cadence G 5.9 Treadmill has been reviewed 3,375 times on Amazon with an average review of 3.7 stars. 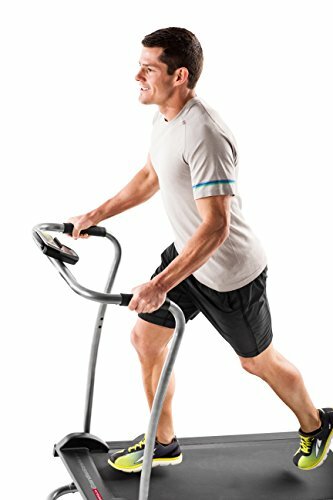 At Walmart, the Weslo Cadence G 5.9i Folding Treadmill has been reviewed 1,597 times with an average review of 4.1 stars. The cost of getting in shape can be enough to keep some people from doing it. Gym memberships are expensive, and some of the brand name treadmills can cost a pretty penny as well. However, if you are serious about getting in shape but have trouble finding the time to go to a gym or run outside, a Weslo treadmill can help. They are priced affordably to give more people the option to workout at home on their own time and protected from the elements. If you are tired of telling your friends that “round is a shape,” then this could be the treadmill that gets you started on the path to better health. Having a treadmill at home can be convenient for workouts but let’s be real. No one wants to have this big, bulky machine in the middle of their bedroom or living room. If you don’t have a spare room to set it up in, what other options do you have? None! Weslo treadmills are designed to be folded up easily so they can be stored out of sight when not in use. Some users have said that moving them can be difficult because they are heavy and bulky. But many have also said they are not heavy. Amazon’s description of the G 5.9 says it weighs 117 pounds. So, no, it is not light, but how light can you reasonably expect something like a treadmill to be? Anyone that it is larger than the average size person will tell you that one of the worst things about running—in general, not just on a treadmill – is the impact on the knees. All that body weight is bad enough on the knees while walking. Tack on the adding pressure that comes with running and—well, it’s not good. That is why you will always see big guys that are serious about dropping weight wearing shoes made with gel cushioning in the soles. If the impact can be lessened even a little bit, that is a good thing—which is precisely what the Comfort Cell Cushioning built into Weslo treadmills is intended to do. Whether you choose to walk, run, or jog, the impact felt on the knees will be lessened. One of the worst things about taking up jogging to get in shape is the monotony that comes with running. You don’t do anything different, and if you take the same route (for those who run outside), the scenery doesn’t change. Running is dull. Dull exercise is easy to quit which is where the preset workouts in a Weslo treadmill come in handy. There are six, and they were designed by personal trainers to help you maximize your time and get the best workout possible. Isn’t that the purpose of working out? The trouble with most ‘affordable’ stuff is that the word is also synonymous with poorly made. Several reviews on Amazon and Walmart complained about the holes for screws in the various pieces not lining up. Many people said pieces arrived already broken and some talked about the rails arriving warped. But it gets worse. One user said the treadmill they received came with a busted motor. Customer service sent them a new motor a month later and told them to install it themselves. If you can get it put together to a point where it is operational, you then have to worry about it holding up. A handful of users talked about their treadmill looking like it was going to cave in after just a few months of use—and they weren’t heavy! These are 175lb and 190lb people talking about this product notwithstanding even a few months of moderate use. It was made to be compact and easily stored, but in the process, the belt and deck are narrow. For taller and larger people, it leaves you feeling like your running on a tightrope or like you are going to miss the deck with every other step. Let’s be real. When it comes to working out, we all prefer to get our workouts over and done with sooner rather than later. Setting your treadmill on an incline can definitely help do just that. However, it is also not unusual to think we can do something or handle an incline only to find out that is not the case. But since Weslo treadmills require you to set the desired incline manually before you get started, you can’t adjust it during a workout. Well—you can, but that would mean stopping your workout. Who wants to do that? However, to make it more affordable, certain things had to go. 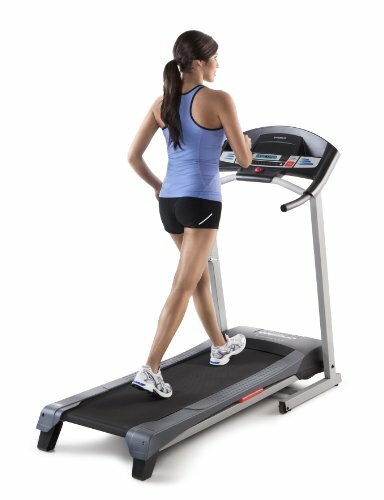 Running or jogging on treadmills puts a lot of pressure and torque on the components of said treadmill—especially by those who are heavier or run for longer periods of time. 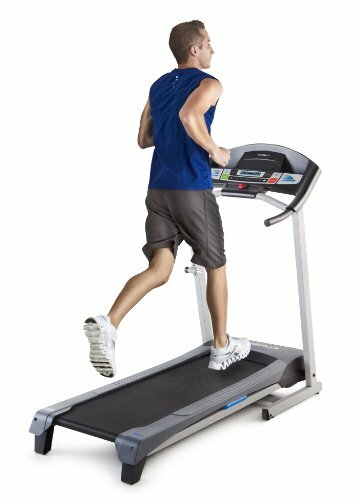 Many users reviewing Weslo treadmills complained about how their model couldn’t handle what they called “excessive” running or “intense” workouts. One user weighing in at 175lbs said that his started to cave in after a few months until one day it finally cracked right down the middle. He said he only ran at 6 MPH or walked at 3.7 MPH three times a week (5-7 miles). Other users said they felt like the treadmill bogged down under their weight. Some of them were a little heavier (low 200’s). But no one came close to the listed maximum of 275lbs. Warranties are meant to help new buyers feel like they got a good product and that if there is something wrong with it the company will take care of it. 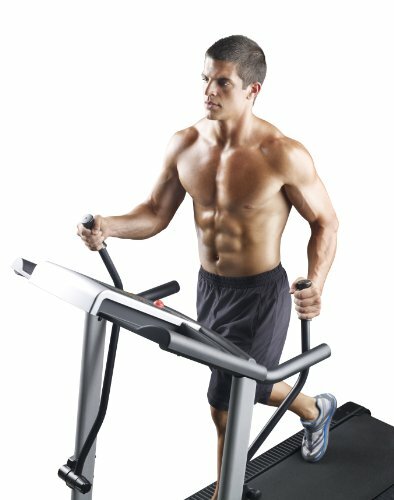 According to many reviews, that does not appear to be the case with Weslo treadmills. The manufacturer’s warranty is only good for 90 days. Many users complained in their reviews that the warranty was not very inclusive and often didn’t cover whatever part broke. If it did, the part broke after 90 days, and the user was out of luck. One person said in his review that the motor was under warranty for a year. But when he called for help getting it fixed, he found out that certain parts of the motor fell under the 90-day warranty. So, he was out of luck. But the company was more than happy to send a replacement part for a price (often a very high one). Don’t bother with one of these unless you are willing to take a gamble on how long it will last. According to many users who reviewed their purchase, they often arrive with something broken, warped, or inoperable. If you are able to get through to customer service, they’ll work with you. But who wants to order a treadmill, wait for it to arrive, and then wait another month or two for the replacement parts to show up? Many users complained about their Weslo treadmill not being able to withstand too many intense workouts. 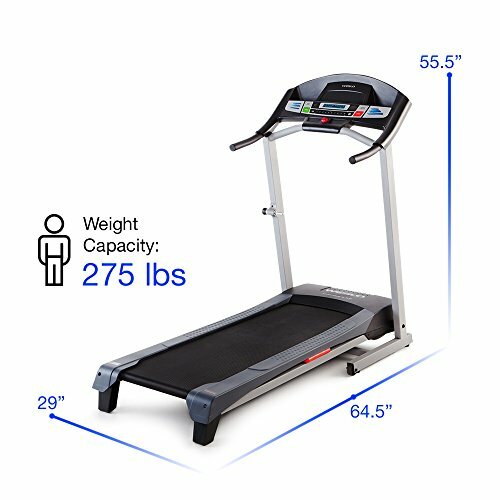 Weslo does have a few models that are not intended for intense workouts, i.e., the Weslo CardioStride 4.0 Manual Walking Folding Treadmill. The 3.0 version doesn’t have ‘walking’ in the name, but it looks like the same thing. So chances are it isn’t meant for running either. The bottom line with Weslo treadmills is that you get what you pay for with them. They are cheap and affordable pieces of equipment. They could work just fine for you, but there is a high probability that they will not work. 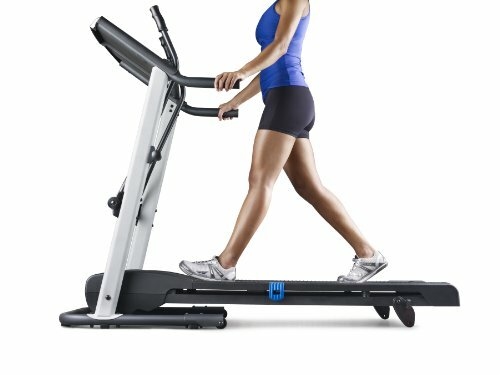 If you want a reliable treadmill at home as you begin your journey towards better health, don’t buy Weslo.